KUALA LUMPUR: Prime Minister Tun Dr. Mahathir Mohamad has not given up hope on Formula One making a return to Malaysian soil. Dr. Mahathir said that Sepang Circuit, which was completed in 1999, has brought many benefits to Malaysia and he is hoping to see Formula One — the pinnacle of four-wheeled motor racing — making a return. 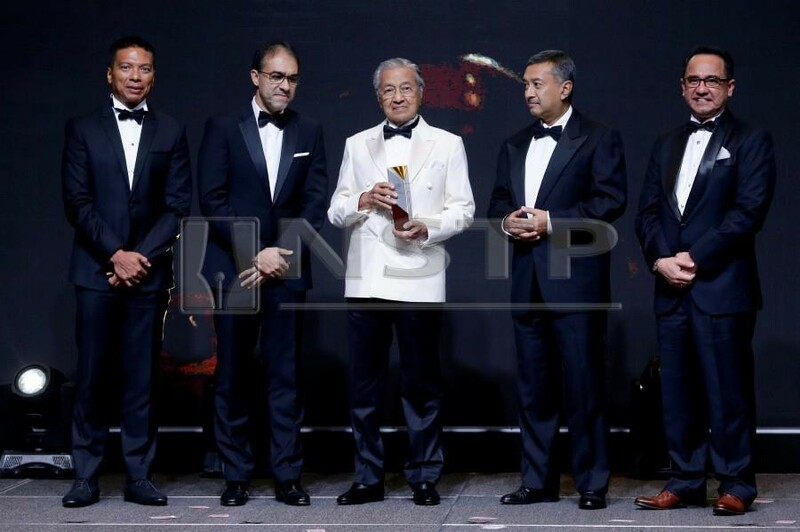 He received a special Lifetime Achievement Award at the Petronas-Sepang International Circuit (SIC)-Motorsports Association of Malaysia Awards ceremony in Kuala Lumpur last night (Tuesday) for his contributions to Malaysian Motorsports. “I remember my trip to Estoril (Circuit) in Portugal, it was the visit which persuaded me to have a similar Formula One circuit in Malaysia,” said Dr. Mahathir, during his speech. “I never thought it (Sepang) would grow very big, I thought maybe 10,000 or 20,000 spectators would attend, but as you know the reception was very good. “And Malaysians responded not only by attending the Sepang F1 races, but they also began to take up racing themselves. “And now Malaysians are very well into motor racing and also into the engineering that is behind the cars. “So we have gained a lot of things from Sepang races and the money spent on the track was well worth it. Sepang Circuit, which was built to host Formula One races, is the brainchild of Dr. Mahathir. The track hosted Formula One races from 1999 to 2017, but was discontinued due to declining interest in the race here and the high costs incurred in hosting it. Sepang, however, continues to host the immensely popular MotoGP race which has drawn record breaking crowds in recent years. Will F1 return to Malaysian shores?